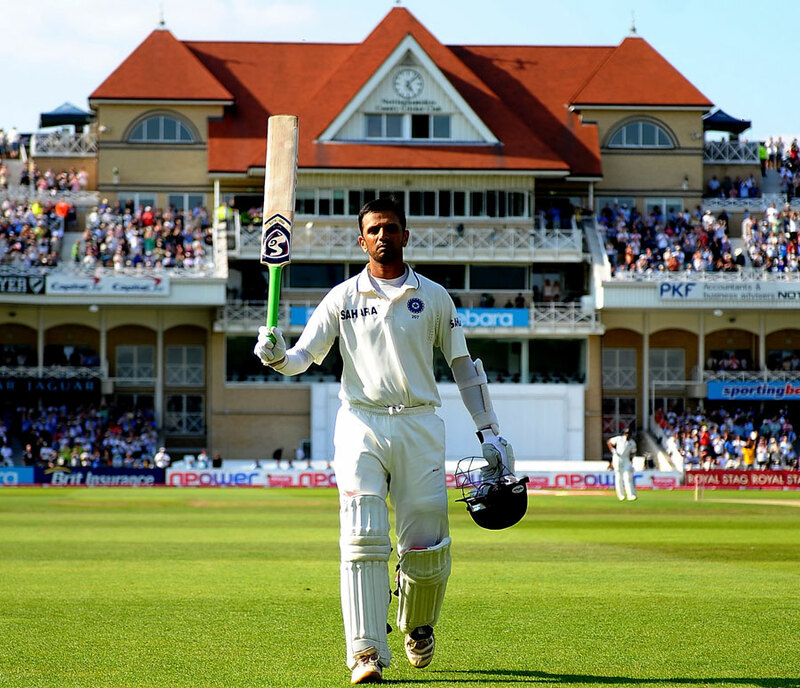 Rahul Dravid: Rahul Dravid does it again! 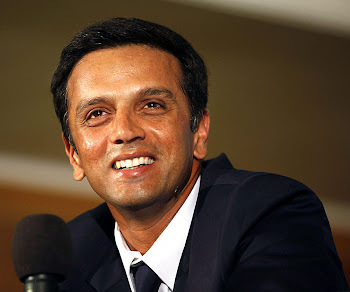 A blog dedicated to my hero,the great Indian cricketer Rahul Dravid. Rahul Dravid does it again! Mr. Rahul Dravid, Gautam is hurt - will you open? Dhoni wants to bowl - will you keep? Over rate was slow so captain is banned - will you captain? Sachin didn't hit 100 - will you hit one? India looks like losing - will you save the match? Zaheer has hamstring injury - will you bowl? Just when Rahul Dravid scored his 34th century at Trent Bridge, this was what I got to read on a few social networking sites. And I am left with only one word to describe his innings - flawless! Just when his team needed him to perform, he has produced yet another masterpiece. The power to keep his concentration levels up has again paid him well. I was lucky enough to watch his innings ball by ball. 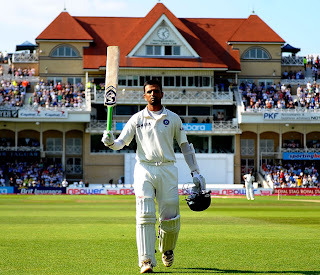 He played no shots away from his body and tackled the edges with soft hands, making sure that he anchors the Indian reply to a moderate total put up by England. He was very well accompanied by VVS Laxman, who along with his favorite partner, saw off the first crucial overs of the day. The credit should also go to Yuvraj, who despite being careless at the start, played really well to take India in good position. It was Stuart Broad again to lead the English fightback, taking last 5 Indian wickets (including a hat-trick) in mere 21 runs span. Trailing by 67 runs, England lost Cook early and Trott looks unfit to play in the rest of the game. If the bowlers continue doing well, Team India has got a chance to come back in the series. well said this man will walk on broken glasses if the team requires!!!!! He is the super man for INDIA.I salute u sir.U r simply great.U r making nation and myself proud. RAHUL DRAVID is the worlds best classical stroke player..sachin may be the god of cricket but without rahuls support, he would hav been just the opposite(read god from right to left), and so he is rightly called as "THE WALL"..! !..NO ONE CAN EVER MATCH RAHUL DRAVID!!.. One of the best interviews of Rahul Dravid : tells you what this man is all about! Rahul Dravid : Not a super-star! Rahul Dravid ends his ODI career on a high!